Since the release of the latest version of Google Penguin last week the industry has been awash with speculation and opinion on what this means for how we handle link related issues. In this post I hope to set out what we know, what that means for you and what we have yet to learn. As we are all busy people there is a one sentence summary on each point highlighted so you can absorb the key points and then come back and read the rest at your leisure. I strongly suggest you read the whole piece when you can, this is an important change from Google and it’s vital that we all understand how it will impact what we do. What has Google actually confirmed about this latest Penguin release? In previous versions of Penguin, Google used to run the Penguin routine and sites would be swept into or out of its influence. The impact of that would be that the whole site would typically be suppressed in the search results. This latest version takes that external routine and moves it into the core search algorithms. That means that when a page is crawled Penguin now makes an assessment and applies its results directly at that point. 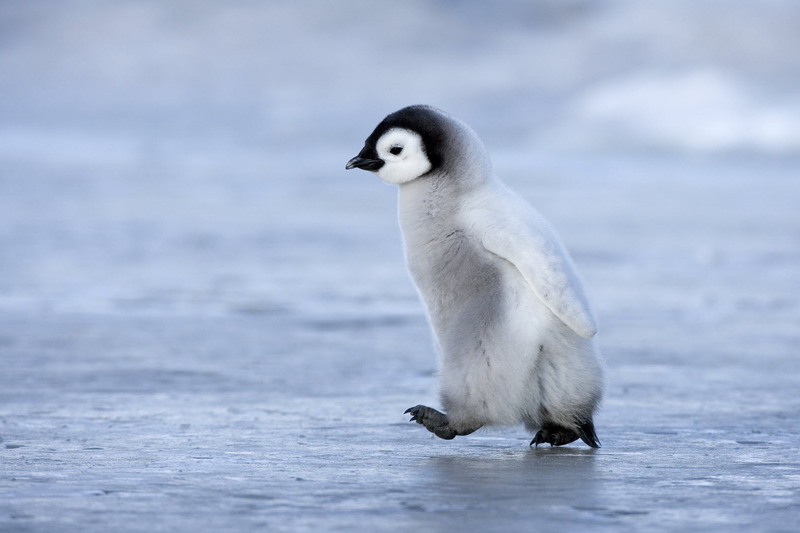 Google have also now confirmed that the way they apply Penguin has changed. Formerly Penguin used to set a flag against a domain as a whole and the site would fall in rankings until such time as the issues were corrected and Google ran the routine again (which was often many many months between instances). Often even when the issues had been corrected sites would struggle to regain their previous rankings even after Penguin was run again. Now though Google says that when they crawl a page they make their Penguin assessment and if they see links that violate their webmaster guidelines the value that those links would pass is removed. They devalue the link rather than demote the site as a whole. The intention being that, as links are such a core part of the search algorithm, removing that link equity should have the impact of suppressing that page’s ability to rank. Google has also indicated that the need to use their Disavow Tool to help correct Penguin issues has now reduced but that their advice on its use in general has not changed. The original Penguin announcement post in 2012 (interestingly linked to in the new announcement post too) gave us some information on what Penguin would impact. That original post indicated that the reach of Penguin was not just to target violations with regard to links (link schemes) but also other manipulative tactics like keyword stuffing etc, there is no evidence so far that the new Penguin 4 release targets anything other than link violations. This may be because they haven’t confirmed it or it may be that tactics like keyword stuffing are now handled well by other parts of the algorithm (it is 2016 after all). So does that mean that the disavow is now no longer needed? Google’s advice is still to create and submit a disavow file when you become aware of links that you feel violate their guidelines. Google confirm that manual actions for link related problems still exist, Penguin may make it easier for them to detect and punish these issues. Even if Google are devaluing links they consider problematic they will still be issuing manual actions for people who’s link profile contains a lot of violations. The disavow tool was one of the ways in which Google suggested webmasters deal with violations of their guidelines, in relation to links. You were advised to audit the links you had and then create a file containing the links or domains you no longer wanted to contribute to your rankings and Google would ‘disavow’ you of those links. The disavow tool has long been the main method for webmasters to correct link problems, actual removal of bad links had proven to be hard for many and the disavow provided a convenient way to turn off that risk. Now that Google are devaluing links that they consider spammy before they can impact a site the need to disavow for Penguin related issues has diminished. That does NOT mean that the disavow is not needed, it seems likely that if Google see you persistently violating their link guidelines and you haven’t issued them with a disavow to correct it manual actions will still be issued. The disavow tool remains your insurance against Google action and the process of producing the file still requires a full audit of your link profile and that gives huge insight into what issues you might have and what you should do to correct any potential threats to your ranking ability. But if Google are devaluing links rather than demoting sites now why aren’t we seeing movement and recoveries? In previous versions of Penguin recovery was often slow or non-existent. Google seem to retain the memory of the original intent of the link placed, even after correction the value doesn’t seem to come back in many cases. Now that Google are removing the equity that spammy links could pass before they impact the page linked to’s ability to rank when issues are corrected you would expect to see ranking improve. Sadly we haven’t seen much of that so far, that could be for a number of reasons. 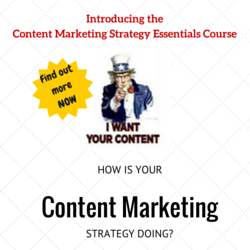 The impact of Penguin 4 is only applied once the page is recrawled. Google have not confirmed that Penguin applies when the page linked to is crawled or when the link itself is crawled. If we have to wait until the page is recrawled then the visibility impact of any problematic links would be in line with when each page was cached again by Google. If this was the case we would see incremental movements as the pages were crawled, typically days or weeks for most sites. If we have to wait until the link pointing at the page is crawled again then the impact of Penguin 4 will take months or even years to be fully felt. Some of the links targeted by Penguin will only be crawled by Google rarely as they have already determined them as low value. I believe it’s likely that it will be impacting at link level and therefore we will see a very slow slide for pages that rely on problematic links over the extended period as the links are recached by Google. This will make it harder to diagnose as a specific problem and therefore heightens the need to gain complete visibility over the issue now rather than wait. Can we rely on Google to do the discounting of links? Google have been shown to be quite inconsistent on how they diagnose problematic links. If you rely on Google alone you will find it hard to diagnose Penguin as the reason for any slow trending loss in visibility. Having looked at more manual action reconsideration requests than probably anyone it is clear to me that Google aren’t as good at understanding problematic links as we might hope. When a site is given a manual action (you don’t get notifications for Penguin but for link issues the issue is the same) you are invited to submit a reconsideration request once the problem has been corrected. If that request is not successful Google would often include some example links they consider problematic as a guide to the webmaster on what areas had not yet been resolved. Links from forum posts where the link was in context and in a post which was on topic and genuinely helpful. Links from resource pages on sites, for example local authorities linking from their tourism section to sites that provided information or services that would help tourists. Links from sites where the link was clearly editorially given, in context and without any evidence (or likely expectation) that the link was provided in return for some incentive. If what we know about the hit and miss nature of these example links is also what Penguin operates off then it is likely that webmasters will still need to understand what they have in their link profile and take steps to insure themselves against the risks posed by the worst links found. How many of the links we have pointing at our sites will actually pass value? What risk do the links we have pose to our visibility? It is likely that many sites may now have some links that Google has stripped the value from (via Penguin or other methods). It is also likely that even if Google is stripping the value that those links can pass any accumulation of bad links will still put the site at risk of manual action. Even if you don’t consider manual action to be a significant threat to your sites visibility the fact that Penguin is removing equity from the links you have can have a similar impact on your visibility. 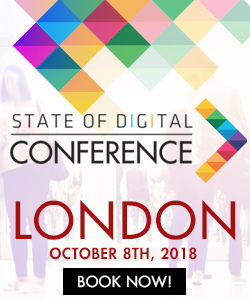 It may be that the impact takes a long time to slowly show itself but we do now certainly have another reason why certain sites or pages suffer long term downward or static trends in their visibility. Knowing the quality of the links you have is now more important than it’s ever been, without visibility of that how can you understand the risk or the reason for visibility changes if they are related to links? People are saying that this represents a return to the days of volume links and hoping that some count, it’s not. Pre 2012 and the first Penguin some people (me included to some extent) would see links as a volume game. Some counted and some didn’t so you gathered as many as you could and hoped that enough would count to mean you came out on top. There have been a number of people suggesting that this latest Penguin update takes us back to that world. 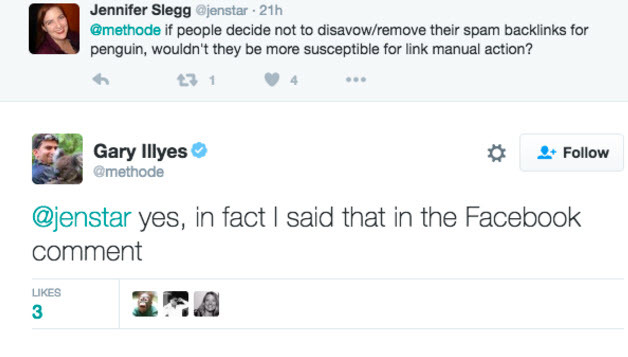 Google will remove the ability of the bad links to pass value, so no benefit to your rankings will be gained. Google will also continue to use the accumulation of bad links as a signal to apply manual actions to your page or domain. The rules haven’t changed, the reality hasn’t changed. All that has changed is that we now have the action of Penguin acting in real time rather than periodically. It’s as hard to spam Google now as it’s ever been, if not harder. I’ve also seen people saying that negative SEO is now easier, is it? Negative SEO assumes the ability to negatively impact a sites rankings through external factors. For many years Google insisted that you couldn’t impact another sites visibility by simply throwing bad links at them (or redirecting in bad sites). They have modified that advice since to suggest there is ‘almost’ nothing that you can do to impact a sites visibility through such tactics. In reality I see a viable negative SEO attempt probably once each year, I see a lot of attempts but I don’t see them doing what they intend from the attack. The theory goes, you create a raft of really bad links pointed at a site. Google spots these bad links and penalises the site for the infringement. An additional theory is that you find sites already penalised by Google and you redirect them to a site you want to knock out of the SERPs. In practice, gaining links that Google will view as a genuine intent to manipulate their results is expensive and unreliable (See earlier points about Google being patchy on what they seem to consider problematic). It also seems very likely that the penalty will not follow a 301 redirect (the link value may just be removed for penalised domains) so no impact would be observed. I think that view is reinforced by the observation that there isn’t a thriving black market for penalised domains to use for this. I think therefore that Penguin 4 is unlikely to impact the naughty webmaster from performing negative SEO attacks against rival sites. Whilst the disavow is now not required as much in Penguin related issues it is still your best insurance against all link related risks and issues. The impact of Penguin 4 is likely to be felt slowly over an extended period of months so it now has to be one of the considered reasons for a steady reduction in visibility for any site. Google still has all the processes in place to prevent and punish the accumulation of bad links and so it is vitally important that all site owners continue to identify and manage their exposure to those risks. Anyone looking after the organic visibility of a brand or an agency client needs to make sure that they have in place processes and plans to manage their risk and to protect their site from factors which could impact visibility. This is post from Paul Madden, Co-Founder of Kerboo. Paul has been making a living from links and the management of links for over a decade. As a co-founder of Kerboo (a link analysis and data platform) Paul has extensive access to the data on Google’s most important signal, links. 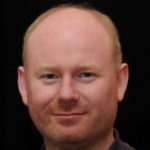 This is the major point for me: “Google have been shown to be quite inconsistent on how they diagnose problematic links.” Very nice write-up Mr. Madden!